Garri is one of the most popular products of cassava enjoyed by millions across the world and usually serve with stews, vegetable sauces of various kinds. Garri is the most important staple in my native Nigeria that the word garri, is synonymous with the money required to pay for necessary things like food. It is very much the same way the word daily bread is used in the West. It is cheaper than all the other staples that the very poor can often afford this. That is not to say it is poor in nutrients. It is rich in dietary fibre( find out why this is important here) and complex starch, it is a source of low GI carbohydrate that ensures the slow release of energy over a long period of time. Garri is a grainy flour processed from cassava. The cassava roots is grated, fermented and eventully fried. The process is very helpful in removing cyanide or bringing it to safe level for human consumption. Garri can be eaten as a cereal by pouring water or milk in a bowl then, add scoops of garri as required with or without sugar. 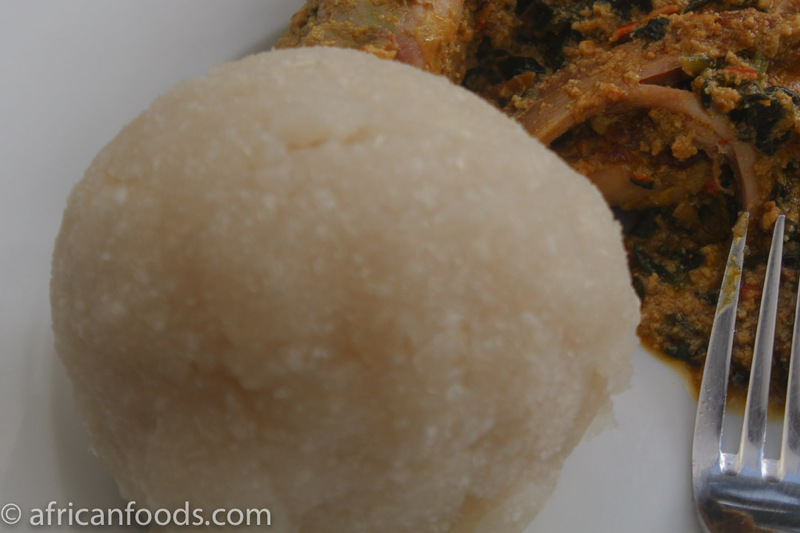 The most popular way of eating garri is making it into a dumpling and serving with a rich plate of vegetable soup or stew. 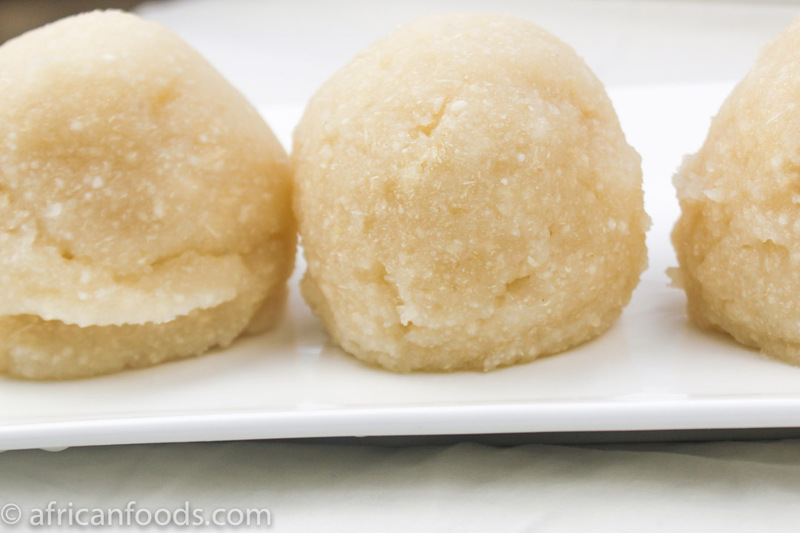 There are usually two types of garri in terms of colour, white and yellow gari. The "white" which is actually cream in colour. The yellow garri is usually fried with palm oil during processing hence the colour. The oil content also further helps to dilute any remaining cyanide content destroyed by fermentation. The white or creamy garri can be fermented much longer to give a soured taste which some people prefer and in Nigeria it is called Ijebu garri as it is common in that part of the country. Pour water in kettle or place in a pot on a stove and bring to a boil. Save about half cup of the boiling water if you need for later. Pour boiling water into a bowl, sprinkle the garri uniformly in the boiling water. Cover for a at least one minute and stir with a wooden spatula, knead into a dough-like dumpling until desired smoothness and consistency is achieved. You may need to add a bit more hot water you saved earlier on to get the consistency you want. Serve with any soup or sauce of choice. 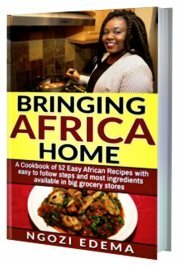 Check out the egusi, ogbono or afang recipes.